Today, Savannah College of Art and Design (SCAD) announced the initial line-up for the 2019 SCAD aTVfest, Atlanta’s only festival dedicated to television. Now in its seventh year, the university’s annual signature event celebrating the television industry will be held at SCADshow on Feb. 7-9, 2019. Entertainment Weekly (EW) will serve as the first ever Official Media Partner for SCAD aTVfest. “Georgia’s only festival dedicated to television, SCAD aTVfest gives attendees direct access to performers, producers, and industry experts as well as screenings, exclusive looks, and program premières. 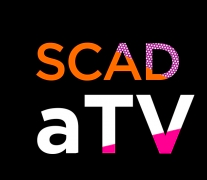 The world needs SCAD aTVfest to stay current on everything from streaming platforms to network news. This year, we fête the funny and wildly talented Ellie Kemper as well as everything about the small screen. And with EW as our first official media partner, we’ve drawn in more talent and unique programming than ever before. I can’t decide who’s luckier: SCAD students, or the industry professionals who get to meet our rising stars and hear their best pitches!” said SCAD President and Founder Paula Wallace. Ellie Kemper, who stars in Netflix and Universal Television’s Unbreakable Kimmy Schmidt, will receive the annual Spotlight Award. NBC and Universal Television’s New Amsterdam will receive the Outstanding Cast Award with cast members Ryan Eggold, Freema Agyeman, Anupam Kher, Tyler Labine and Jocko Sims attending. Honorees are scheduled to attend screenings of their respective episodes. In honor of SCAD’s 40-year anniversary, SCAD alum Mir Zafar Ali (B.F.A. visual effects 2015) will receive the SCAD40 prize. The Emmy award-winning team behind The Buzz will debut G.R.I.T.S. (Girls Raised In The South), SCAD’s latest student-produced sitcom created by dramatic writing student Chad Morton (B.F.A. dramatic writing, 2018). G.R.I.T.S. is an all original student-produced sitcom which is written, directed, produced and performed by African-American SCAD students. This sitcom stars Candice Glover (B.F.A. dramatic writing, sophomore) winner of American Idol and George Lovett (M.F.A. performing arts candidate) from Showtime at the Apollo. This series is another milestone in SCAD’s legacy of original programming performed in front of live studio audiences. The show will premiere opening day of the festival. All American (The CW) with Nkechi Okoro Carroll, showrunner and executive producer; Daniel Ezra, actor; Taye Diggs, actor; Michael Evans Behling, actor; Karimah Westbrook, actor; Bre-Z, actor. American Gods (Starz) with Ricky Whittle, actor; Pablo Schreiber, actor; Yetide Badaki, actor with additional cast to be confirmed. Bosch (Amazon Prime Video) with Titus Welliver, actor; Jamie Hector, actor; Amy Aquino, actor; Madison Lintz, actor; Lance Reddick, actor; Henrik Bastin, executive producer; Michael Connelly, executive producer and author of the novels on which the series is based. The Enemy Within (NBC) with Jennifer Carpenter, actor; Morris Chestnut, actor; Ken Woodruff, executive producer and creator. The Gifted (FOX) with Amy Acker, actor; Emma Dumont, actor; Skyler Samuels, actor; Matt Nix, showrunner. I’m Sorry (truTV) with Andrea Savage, actor, director, writer, executive producer; Joey Slamon, executive producer; Gary Anthony Williams, actor. Manifest (NBC) Josh Dallas, actor; Melissa Roxburgh, actor; Athena Karkanis, actor; J.R. Ramirez, actor; Jeff Rake, executive producer, showrunner, creator. Miracle Workers (TBS) with Karan Soni, actor; Jon Bass, actor; Sasha Compère, actor; Jorma Taccone, director. New Amsterdam (NBC) with Ryan Eggold, actor; Freema Agyeman, actor; Anupam Kher, actor; Tyler Labine, actor; Jocko Sims, actor. The Oath (Sony Crackle) with Ryan Kwanten, actor and producer; Cory Hardrict, actor; Zulay Henao, actor; Leona Lewis, actor; Noah Nelson, consulting producer and writer. The Other Two (Comedy Central) with Heléne Yorke, actor; Drew Tarver, actor; Chris Kelly, creator and writer; Sarah Schneider, creator and writer. The Passage (FOX) with Mark-Paul Gosselaar, actor; Saniyya Sidney, actor; Brianne Howey, actor; Jamie McShane, actor; Henry Ian Cusick, actor; Caroline Chikezie, actor; Vincent Piazza, actor; Emmanuelle Chriqui, actor; Liz Heldens, showrunner. Pen15 (Hulu) with Maya Erskine, co-creator, executive producer and actor; Anna Konkle, co-creator, executive producer and actor. Proven Innocent (FOX) with Russell Hornsby, actor; Nikki James, actor; Riley Smith, actor; Danny Strong, executive producer; David Elliott, executive producer. The Resident (FOX) with Matt Czuchry, actor; Manish Dayal, actor; Jane Leeves, actor; Malcolm-Jamal Warner, actor; Rob Corn, executive producer and director. Schooled (ABC) with AJ Michalka, actor; Tim Meadows, actor; Brett Dier, actor. SEAL Team (CBS) with John Glenn, showrunner and executive producer; and select members of the cast. Unbreakable Kimmy Schmidt (Netflix) with Ellie Kemper, actor. The Village (NBC) with Warren Christie, actor; Michaela McManus, actor; Lorraine Toussaint, actor; Grace Van Dien, actor; Mike Daniels, executive producer and showrunner. The star of the Netflix comedy series, produced by Tina Fey and Robert Carlock, Unbreakable Kimmy Schmidt, Ellie Kemper has earned two Emmy Award and two Screen Actors Guild Award nominations for her breakout performance. Previously, Kemper portrayed Erin Hannon on NBC’s hit sitcom The Office. She first gained attention with her one-woman show Feeling Sad/Mad with Ellie Kemper at the Upright Citizens Brigade Theatre. Kemper’s other credits include a co-starring role in Bridesmaids and appearances in 21 Jump Street, Identity Thief, They Came Together and Somewhere. A graduate of Princeton University, Kemper has also written for GQ, Esquire, McSweeney’s, The Onion, and The New Yorker. New Amsterdam is inspired by Dr. Eric Manheimer’s memoir Twelve Patients: Life and Death at Bellevue Hospital and his 15 years as medical director there, this unique medical drama follows the brilliant and charming Dr. Max Goodwin. In order to tear up the bureaucracy and provide exceptional care, Max must disrupt the status quo and prove he will stop at nothing to breathe new life into this understaffed, underfunded and underappreciated hospital. A native of Karachi, Pakistan, Mir Zafar Ali has achieved remarkable success as a visual effects artist on some of the most honored animated films of all time. In the last six years alone, he has contributed to animated feature film Oscar winners Frozen, Big Hero 6 and Zootopia, along with Oscar nominee Moana. Ali began working for Digital Domain in Los Angeles one quarter shy of graduation, returning to complete his degree in 2015. Awarded at signature events throughout this 40th anniversary year, the SCAD40 Prize is presented to graduates who give all of themselves — hand, head and heart — to their creative careers in the highest ranks of culture and business. The SCAD aTVfest panel series welcomes industry experts from a wide range of professions to engage in meaningful conversations about their work. This year’s panels and workshops with industry experts include: Break into Television: Nickelodeon Writing Program; The Science of Grey’s Anatomy Storytelling; SCAD gets Real; Inside the Writers Room; Below the Line: Postproduction; Before and After: Transformation TV; Event TV: Live; Invisible Visual Effects: Hollywood’s Best Kept Secret; The Future of Brand Storytelling; Below the Line: Costume Design; Short and Social; TED TV; How to Get Ahead in Television; True Crime: From Podcast to Series; Meet the Executives; A Very Brady Renovation; Wonder Women: Acting for TV; Below the Line: Casting in Atlanta; Below the Line: National Casting; and In Conversation: Miss J Alexander. For SCAD students, SCAD aTVfest offers valuable insight into the world of agents, managers, casting, comedy, integration, pitches, production partnership, programming placement, reality television, visual effects, post-production, and the convergence of digital media and television. An integral part of aTVfest is premiering SCAD student work alongside their professional counterparts. A juried showcase will include dramas, comedies, web productions and more from SCAD’s School of Digital Media. The event takes place at several SCAD Atlanta locations, including the SCADshow theater and the main SCAD Atlanta campus at 1600 Peachtree St.
SCAD offers the nation’s only university-run casting office, and is the only university with two original, student-run TV shows currently in production. SCAD’s original TV sitcom, The Buzz, won for Best Scripted Series at the 2017 College Television Awards. More than 8,100 SCAD students and alumni work in the fields of animation, entertainment, motion pictures, media production, writing, editing, broadcast media and performing arts, with over 2,800 in Georgia alone. The program’s unique project-based approach to film, TV and performing arts provides SCAD students a distinct advantage before they graduate with unparalleled access to industry tools, experts and life-changing opportunities—from cross-disciplinary collaborations that mirror major film and TV productions to acclaimed Academy- and Oscar-award winning faculty, including D.W. Moffett, Craig Anton and Geoffrey Fletcher. Last year, more than 70 SCAD alumni worked on Oscar-nominated films as production designers, sound designers, graphic designers, producers, actors and more. In fact, 11 SCAD graduates worked on one of last year’s top blockbusters, Black Panther. Additional programs and honorees to be announced. The current lineup is available at atvfest.com.